Why on earth would anyone want to listen to- or make- a design podcast? Isn’t an audio format all wrong for a visual topic? Expose you to fresh trends, ideas and personalities in the field. Clue you in to the newest evolutions in design software, tools and tech. Help you stay excited about design and get your ideas flowing while you idle in traffic, walk the dog or hit the gym. Inspire you with words of wisdom on work and living the creative life from accomplished design experts. Give you something creatively stimulating to play in the background while doing your actual design work. Design podcasts come in every flavor and format. You’ll find shop talk, pep talks and informative talks. Some have multiple hosts, themselves successful design pros, who offer contrasting viewpoints or fun cross-banter on design-related topics. Many hosts conduct interviews with leaders in the field and answer design conundrums submitted by listeners. Some are meant to get you creatively unstuck or take your design agency to the next level, while others simply share the stories behind interesting design topics. Whatever your pleasure, peruse our picks for the 10 best design podcasts and prepare to binge-listen. Back in 2005, Debbie Millman began interviewing her favorite designers, kicking off one of the world’s first podcasts, and the first-ever design podcast offered on iTunes. The show has grown in scope to include interviews with creative types of every stripe, including gardeners, chefs and cartoonists alongside curators, illustrators and every type of designer. With 13 years’ of content, comprising over 400 episodes, you’ll have plenty of stimulating design podcasts to choose from, with inspirational insights from some of the all-time masters of the form. Not many design podcasts have followers outside the industry. 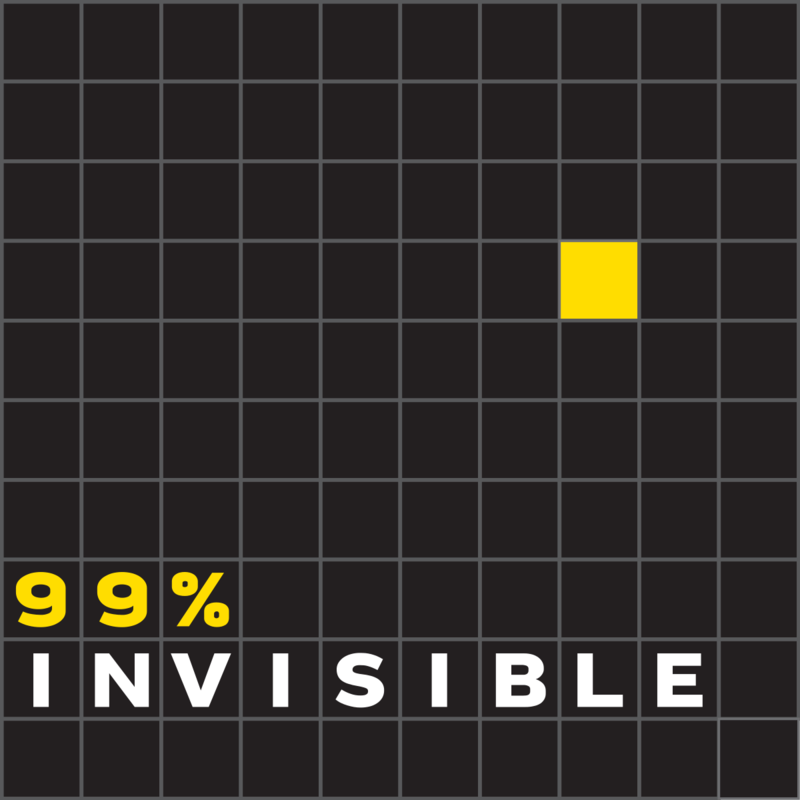 One of the few design podcasts with a big mainstream following is 99% Invisible, which approaches the topic from a very human-interest perspective. The host, Roman Mars, began recording episodes in his San Francisco bedroom back in 2010, and describes this top-rated design podcast as being, “all the thought that goes into the things we donÕt think about Ñ the unnoticed architecture and design that shape our world.” Each topic is approached from the perspective of a layperson, and often includes quirky topics like “The Repackaging the Pill” and “Unsung Icons of Soviet Design,” focusing on the human stories behind offbeat and off-the-radar subjects.” With over 150 followers, this design podcast has a broad appeal. And with almost 200 episodes, there are hours and hours of fascinating listening for you to explore. Episode pick: Structural Integrity, a story of architectural engineering gone wrong, and then covertly made right. Available on iTunes, Soundcloud, and Stitcher. Episode pick: Interview with Daniel Libeskind, on architecture, immigrating, designing the World Trade Center site, and participating in the space race. Adventures in Design bills itself as “America’s only daily morning talk show for creatives,” and it features all the news, gossip and chatter you’d expect from that appellation. Almost every episode lasts over two hours, and a new one is posted every weekday. With 720 episodes posted, that means a total of 1,440 hours of content are currently available. Host Mark Brickey has a clear love for fine “lowbrow” art: posters, icons, silkscreen, skate, comic books and pop culture art of the rock n’ roll variety. Although topics vary widely- you’ll hear reviews, interviews and plenty of banter- Brickey consistently aims to show listeners “how to design happiness in your professional life.” If you’re looking for a design podcast to get you pumped about work first thing in the morning, you can’t do better than by listening to this stimulating design podcast. Making a career in design is a marathon undertaking- requiring sustained effort and unflagging determination, often in the face of multiple setbacks. It’s easy to lose your verve and energy over time, and inspiration can be hard to come by. 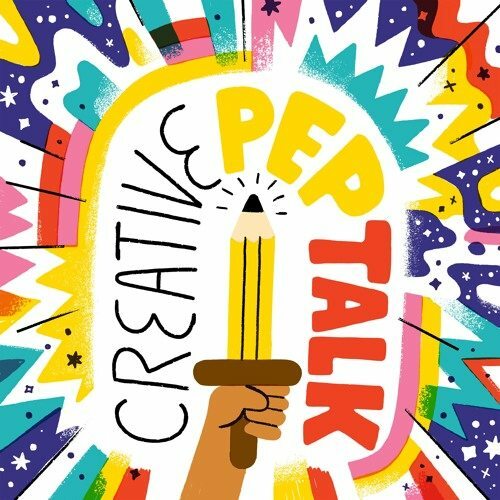 Fortunately, there’s Creative Pep Talk. This top design podcast is exactly what its title sounds like: a shot in the arm for professional creatives. Host and freelance illustrator Andy J Miller brings a refreshing, upbeat sincerity to the topic of “helping creatives strike the perfect balance between art and business through ridiculous analogies, personal stories and artist interviews.” You’ll find entertainment value, humor, and useful advise in every episode. It’s one part professional symposium, and one part pep rally. This is one heartfelt design podcast that can reenergize your spirits if you’re in a creative slump or help you move past a professional plateau. Falling in love with the show? Miller has a beautifully illustrated art book by the same title, featuring words of wisdom from 50 of the world’s leading creative professionals. Pursuing the creative life as a career? Check out our Guide to Where to Get an Art Degree Online. Omaha-based designer Donovan Beery hosts the Reflex Blue Show, a design podcast that covers “graphic design, design, pop culture, web design, and the people working in the industry.” This is a dyed-in-the-wool shop talk design podcast, with plenty of industry banter, riffing on the creative process, and interviews with hip designers from a variety of backgrounds. Past guests have included Brian Wood, Chip Kidd, Dana Arnett, and Jason Tselentis. Beery also frequently attends and covers design conferences and events like the AIGA Design Conference. Listen in to get a feel for current trends and influencers. The show’s been around almost 10 years, and there are nearly 200 episodes available, meaning plenty of content for you to peruse. 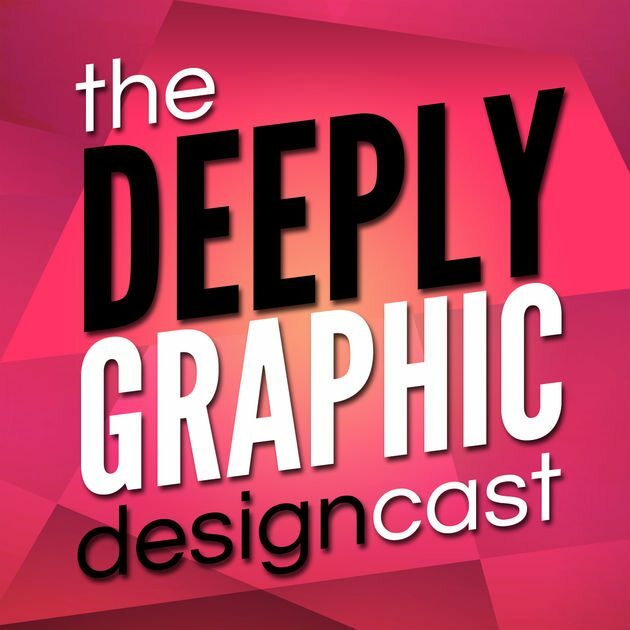 While thoughtful and entertaining, the Deeply Graphic DesignCast by creative team Deep End Design is first and foremost a useful tool for web and graphic designers. The program is dedicated to providing tons of practical and creative advice. Six creative executives and designers host the show, offering a variety of perspectives and backgrounds. Each episode covers a different topic, such as current web design trends, dealing with demanding clients, and creative risk-taking. Every episode also includes responses to listener-submitted questions and “Do Yourself a Favor,” a compilation of industry tips and ticks. Web designers and developers employed at an agency will find the advice and insights in this design podcast especially relevant. Got a flair for web design and development? Check out our ranking of the 10 Best Online Bachelors in Web Development Degree Programs. Mega Maker is one design podcast aimed specifically at “digital makers,” like “indie software developers, designers, writers, entrepreneurs, artists, and other creative, who want to earn a living from the things they create.” Here, you’ll find loads of advise on competing, staying up-to-date, and standing out in a fast-evolving and over-saturated digital design field. The host, Justin Jackson, is a successful entrepreneur, designer and software marketing consultant. 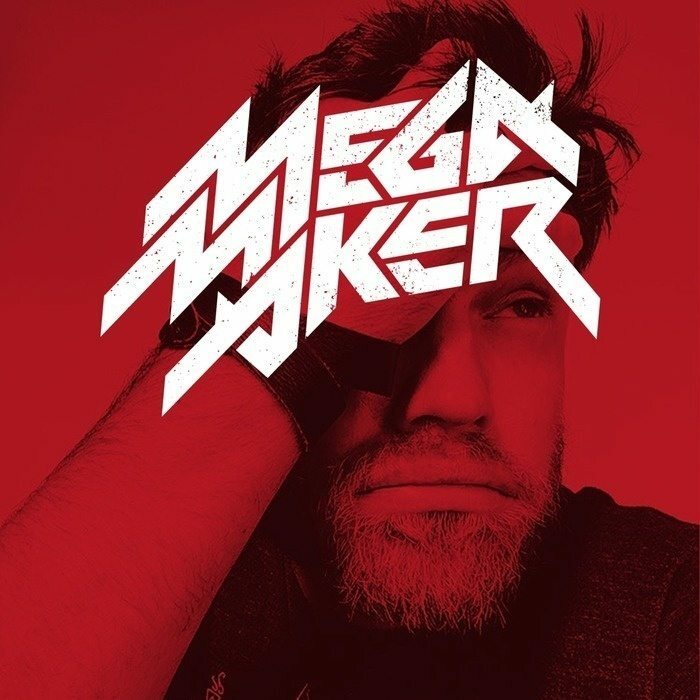 Mega Maker is his second podcast; his first, the popular Build and Launch, addresses the process of turning a vision into a business. In Mega Maker, Jackson dishes up graphic design insights, tips, and a few tirades, in a shoot-from-the-hip style, all addressing how to make a real living in digital design. This is a tough industry, and Jackson tells it like it is, covering topics like “How I Make My Money,” “Pull Up Your Bootstraps,” and “Stay Up Till Your Eyeballs Bleed.” Almost all of the 500 episodes available are about 15 minutes long, making this a practical and bite-sized design podcast to listen to during your commute. Episode pick: What motivates people to buy? How to make things that people actually want. Looking into the best web design degree for your bottom line? Check out our 10 Most Affordable Online Web Design Degrees. Revision Path highlights underrepresented voices in design, featuring weekly interviews with “some of the best Black graphic designers, web designers, and web developers from all over the world.” These stories, insights, ideas and experiences will be of interest to anyone- listeners will hear from diverse professionals like design researcher, Omari Souza, to industrial designer, Jomo Tariku, to web developer and advocate Sibyl Edwards. The show is hosted by entrepreneur and web designer Maurice Cherry, who has an engaging, in-depth interview style. Cherry always presents the big picture by addressing his guests’ personal and professional paths to success, values and relationships to the creative community. This thought-provoking show won “Most Inspiring Design Podcast” in the 2015 Creative Market Awards. This relatively new design podcast is about the yin and yang of graphic design: equal parts wild and free creativity and nitty-gritty work. The host, Brandon Rike, covers topics in illustration, graphic design, and other creative fields, with an eye to the processes that fuel success and the obstacles that can stand in the way. The ultimate goal of this design podcast, according to the host, is to “simplify the methods by which we put our creativity to work.” So far, just 11 full episodes have been posted, but stay tuned- this one’s off to a promising start.